Snapchat is no stranger to controversy, but this latest issue isn't the headline you would normally expect. Users have taken to the web to complain about the app burning through background data. Complaints have surfaced on reddit, along with screenshots. The griping can be found on more than one thread. Screenshot posted to reddit by rabbit00010. In the screenshot above, you can see Snapchat having used over 40MB in the foreground (while the app was open) and a little more than 250MB in the background. In a span of a week, the app burned through a quarter of a gigabyte. An XDA Developers post claims that an update delivered on January 27th is to blame. It introduced a Discover page that linked to news feeds from various sources such as CNN, National Geographic, and People. Users complained about the app quickly draining battery life, causing crashes, and sucking up background data. Fortunately you can prevent Snapchat from running in the background. 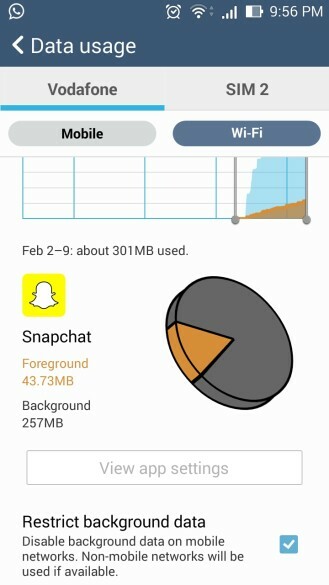 Just go to Data Usage under your phone's settings menu and look for Snapchat. If it's giving you problems, you should see it right at the top of the list of apps. Tap it and select the Restrict Background data option. Snapchat can't be held responsible for the stupid things people do using its service, but the company should jump on this issue quickly if it doesn't want customers taking up pitchforks over the potential charges on their cell phone bills. With any luck, it's already on it. Snapchat pushed out an update to the Android app earlier today, but there's no changelog attached. If you plan to leave background data on, let us know if you notice any change in behavior. 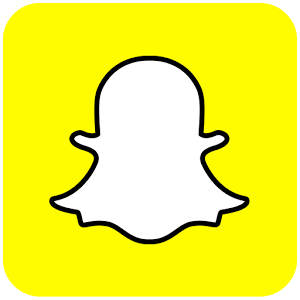 You can try installing the latest Snapchat 9.1 beta from APK Mirror to see if the problem is being addressed in the upcoming release. Alternatively, you can uninstall and revert back to an older version.